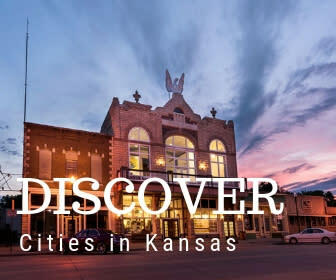 Find cities all over Kansas to visit! There are 628 cities in Kansas. Just a few you should include in your travel plans are: Topeka (State Capital); Lawrence (Home of the KU Jayhawks); Hutchinson (Site for the Kansas State Fair every September); Manhattan (Home of the KSU Wildcats); Abilene (Boyhood home of Dwight D Eisenhower); Winfield (Site for the Bluegrass Festival); Wichita (Attend the River Festival); Kansas City (shopping, sports and more); Dodge City (known for western history); Salina (check out the Smoky Hill River Fest); Emporia (Home of the Hornets); Pittsburg (Home of the Gorillas); Hays (visit The Wild West Festival); Colby (The Prairie Museum of Art and History); Garden City (jump in the car with PDS Storm tours); Liberal (Home of Dorothy from Wizard of Oz); Lindsborg (known for its Swedish heritage and the biennial Svensk Hyllningsfest); Leavenworth (the first city in Kansas! 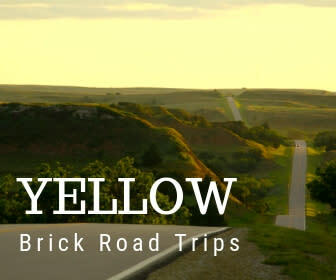 ); Council Grove (the Hays House restaurant); Goodland (visit our Travel Information Center for a list of fun).